If you would like to test Syncee before purchasing it, install through Shopify and start the 14-day-long free trial. Our trial is absolutely without liabilities for 14 days. You can import up to 30 product SKUs, not variant SKUs, using the application for free. If this amount is not sufficient for your data feed, you can upgrade to a bigger plan anytime during or after the trial. 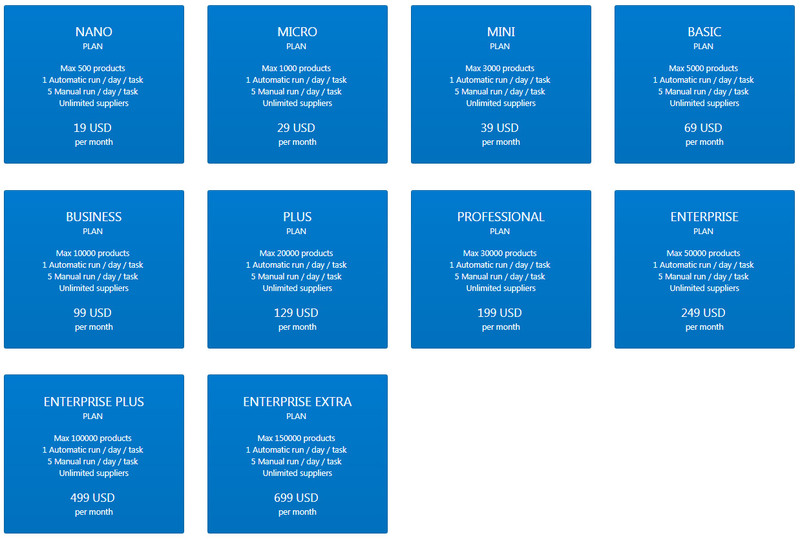 Learn more about the details of our prices here. Credit card is not required in the Syncee Dashboard, you only need to add it to your Shopify account.